Women’s Entrepreneurship Day (WED) is Nov. 19, and commemorates the work of women entrepreneurs. The first WED was held last year in New York City at the United Nations, and celebrated in 144 other nations. 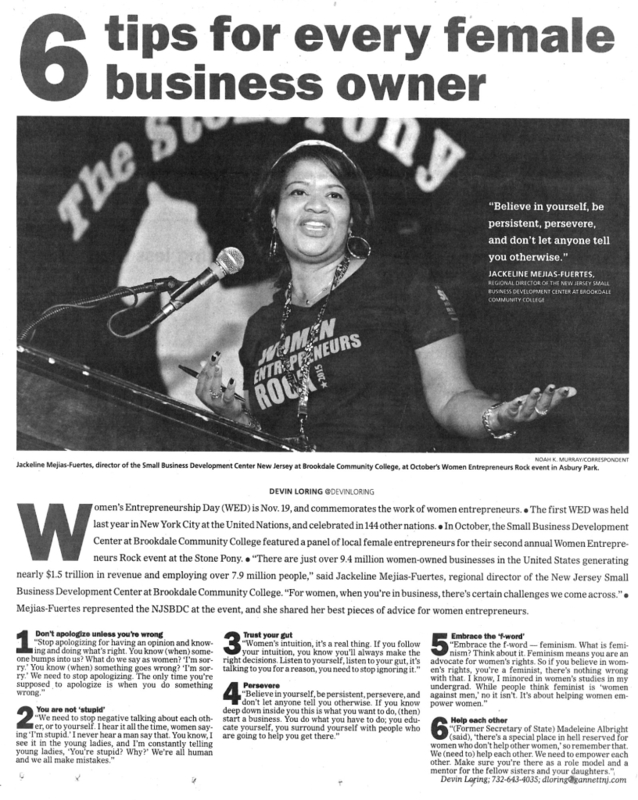 In October, the Small Business Development Center at Brookdale Community College featured a panel of local female entrepreneurs for their second annual Women Entrepreneurs Rock event at the Stone Pony. Mejias-Fuertes represented the NJSBDC at the event, and she shared her best pieces of advice for women entrepreneurs.